Many teachers make the assumption that all students will embrace flipped learning quickly. Many do, but some struggle with this new approach to learning. Since flipped classrooms are active places of learning, those would rather learn passively will struggle. Some students are comfortable with the way school has traditionally operated. Let’s face it, school can be a “game”, with rules and rewards. Some have learned how to “play school”, and don’t like it when the rules change. How do you help students to embrace flipped learning? The good news is that students are the easiest group to convince. The vast majority would rather be in a flipped classroom than a passive class. In a previous post, I shared survey data of students in flipped classes from around the world. 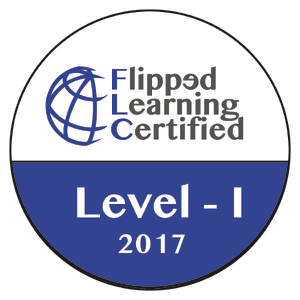 Two thousand four hundred students participated, and most students indicated that they would rather be in a flipped class. When a student has a bad experience in a flipped classroom, they often blame the model and say something like, “Flipped Classrooms don’t work for me.” I was recently registering my daughter for college, and we ran into her childhood soccer coach, his wife and daughter. His daughter was in a flipped math classroom in her school, and had a bad experience. As we discussed her experience, I learned how poorly her teacher had implemented the model. The teacher simply sent home videos and expected kids to learn on their own. In class she offered little help and students struggled. It is critical that students experience a great flipped class. Then their buy-in will be easy. 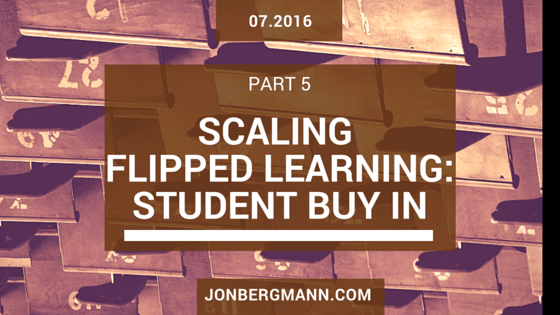 This past year I worked with a school in Australia that wanted to scale flipped learning. Typically when I first work with a school, I spend about an hour convincing teachers why flipping the class should be implemented. Since this school was systematically implementing flipped learning, they chose to have approximately forty student leaders sitting in on the session. The president of the student body did some research on flipped learning and me, and she gave a ten-minute introduction where she explained the benefits of flipped classrooms to the staff and her peers. After the session, the students went back to class and then the rest of the day I spent teaching teachers. Later, I debriefed with the school principal and her team, and she told me that there was a significant buzz in the student population. Student leaders were excited about the model, and they were sharing it with the rest of the student body. 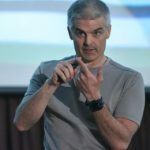 Though you may not be able to have me come and speak at your school, I suggest that you make flipped learning a big deal. 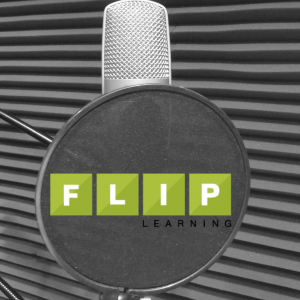 Celebrate it, embrace it, and share with students why flipped learning makes sense. Raising student awareness often leads to students “pressuring” their teachers to flip well and sometimes pushes reluctant teachers to begin flipping. What Benefits Should You Share? Teachers will have more time to help you since they are not lecturing anymore. Your teacher will know you better than ever before. You will be able to pause and rewind your teacher. To some extent, you will be able to learn at your own pace. You will be in a more active classroom. Typically, student achievement goes up. More and more universities are moving to the model, and it represents the future of education. What Expectations Should You Share? While you are sharing with them about the benefits, it is also important to share how a flipped classroom will expect more of them. 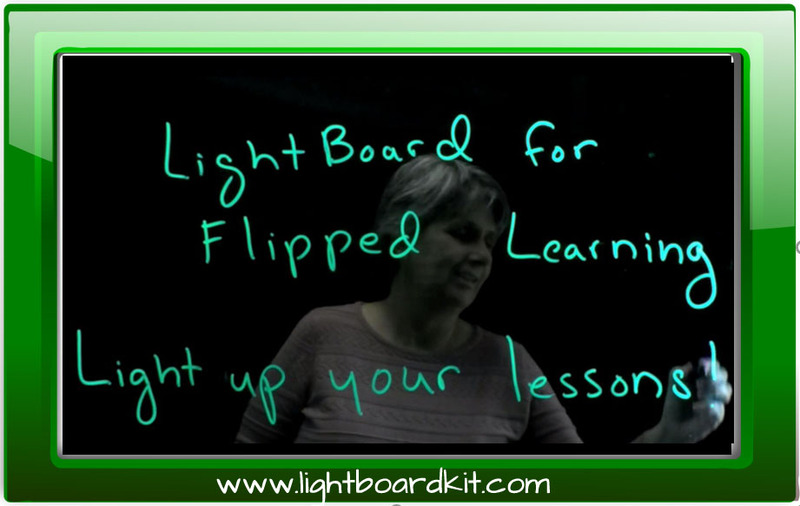 In a flipped classroom you have to come to class even better prepared. Since a flipped classroom is by definition active, they must be engaged in their learning during class. Students must ask questions and be self-advocates. Flipped classrooms get better when there is honest feedback. Encourage students to help you contextualize the model for your school. They can give feedback on in-class activities, technology access, and other aspects which might need to be tweaked as you roll out your program. 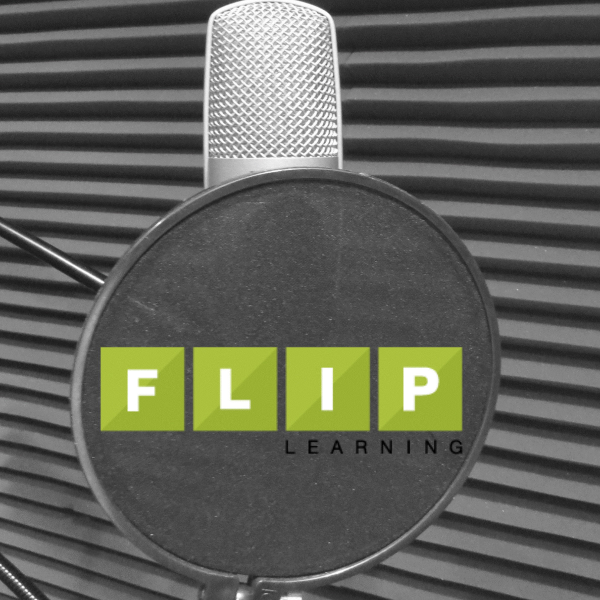 Flipped learning is a simple idea with profound implications for learning. Thus, I wouldn’t overthink getting student buy-in. Flip well, explain well, expect much, and students will jump on board. I would love to hear from flipped class teachers. 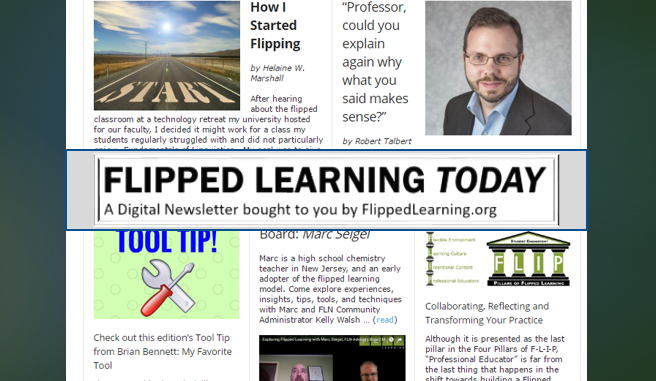 What have you done to get students to buy into your flipped class?